Maybe you thought America’s nuclear arsenal, with its thousands of city-busting, potentially civilization-destroying thermonuclear warheads, was plenty big enough to deter any imaginable adversary from attacking the US with nukes of their own. Well, it turns out you were wrong. The Pentagon has been fretting that the arsenal is insufficiently intimidating. After all — so the argument goes — it’s filled with old (possibly unreliable) weapons of such catastrophically destructive power that maybe, just maybe, even President Trump might be reluctant to use them if an enemy employed smaller, less catastrophic nukes on some future battlefield. Accordingly, US war planners and weapons manufacturers have set out to make that arsenal more “usable” in order to give the president additional nuclear “options” on any future battlefield. (If you’re not already feeling a little tingle of anxiety at this point, you should be.) While it’s claimed that this will make such assaults less likely, it’s all too easy to imagine how such new armaments and launch plans could actually increase the risk of an early resort to nuclear weaponry in a moment of conflict, followed by calamitous escalation. That President Trump would be all-in on making the American nuclear arsenal more usable should come as no surprise, given his obvious infatuation with displays of overwhelming military strength. (He was thrilled when, last April, one of his generals ordered, for the first time, the most powerful nonnuclear weapon the US possesses dropped in Afghanistan.) Under existing nuclear doctrine, as imagined by the Obama administration back in 2010, this country was to use nuclear weapons only “in extreme circumstances” to defend the vital interests of the country or of its allies. Prohibited was the possibility of using them as a political instrument to bludgeon weaker countries into line. However, for Donald Trump, a man who has already threatened to unleash on North Korea “fire and fury like the world has never seen,” such an approach is proving far too restrictive. He and his advisers, it seems, want nukes that can be employed at any potential level of great-power conflict or brandished as the apocalyptic equivalent of a giant club to intimidate lesser rivals. This sort of thinking now appears to be animating the Trump administration’s approach to nuclear weapons and is reflected in the president’s periodic tweets on the subject. Last December 22nd, for example, he tweeted, “The United States must greatly strengthen and expand its nuclear capability until such time as the world comes to its senses regarding nukes.” Although he didn’t elaborate — it was Twitter, after all — his approach clearly reflected both the DSB position and what his advisers were undoubtedly telling him. Critics of the proposed missile, including former Secretary of Defense William Perry, argue that the US already possesses more than enough nuclear firepower to deter enemy attacks without it. In addition, as he points out, if the LRSO were to be launched with a conventional warhead in the early stages of a conflict, an adversary might assume it was under nuclear attack and retaliate accordingly, igniting an escalatory spiral leading to all-out thermonuclear war. Proponents, however, swear that “older” cruise missiles must be replaced in order to give the president more flexibility with such weaponry, a rationale Trump and his advisers are sure to embrace. The release of the next nuclear posture review will undoubtedly ignite a debate over whether the country with a nuclear arsenal large enough to destroy several Earth-sized planets actually needs new nukes, which could, among other dangers, spark a future global arms race. In November, the Congressional Budget Office (CBO) released a report indicating that the likely cost of replacing all three legs of the US nuclear triad (intercontinental ballistic missiles, submarine-launched missiles, and strategic bombers) over a 30-year period will reach a minimum of $1.2 trillion, not including inflation or the usual cost overruns, which are likely to push that figure to $1.7 trillion or beyond. Without the daily threat of Armageddon, concern over nukes largely evaporated and those protests came to an end. Unfortunately, the weaponry and the companies that built them didn’t. Now, as the seemingly threat-free zone of a post-nuclear era is drawing to a close, the possible use of nuclear weapons — barely conceivable even in the Cold War era — is about to be normalized. Or at least that will be the case if, once again, the citizens of this planet don’t take to the streets to protest a future in which cities could lie in smoldering ruins while millions of people die from hunger and radiation sickness. There is no doubt that the events of the last 48 hours in Zimbabwe mark the beginning of the end of Robert Mugabe’s reign. The dictator’s 37-year-rulewas distinguished by untold suffering, high inflation, shortages of water, electricity and money. Millions of Zimbabweans left the country in search of better opportunities. The majority of those who remained were left to live in poverty and illness. In a confusing sequence of events on Tuesday and Wednesday, the military seized the state television broadcaster ZBC, and in an effort to downplay what was happening said there was no coup, but that it was targeting criminals around the president. No matter what the military says, this is a coup. Some citizens, rightfully desperate for change, say this is the best step toward some kind of reform, but it’s not. There is evidence this intervention is driven by the self-interest of military generals rather than national interest, which makes prospects for economic and democratic reforms bleak. It’s no secret that Mr. Mugabe and his party, ZANU-PF, are unpopular. But the army will, without a doubt, continue the party’s rule. In successive elections since 2000, the army played a very retrogressive role in rigging elections and leading violence in the name of “national interest.” That same army mismanaged revenue from mining diamonds in the town of Chiadzwa just four years ago, bungling what could have been a prosperous economic moment for the entire country. The army was silent when the former vice president Joice Mujuru, a widely admired veteran, was pushed out of the government in 2014 for wanting to run for president. The army only took a stand when Emmerson Mnangagwa, regarded as the longest serving ally to Mr. Mugabe from the liberation struggle, was pushed out of office by Mr. Mugabe this month. Mr. Mnangagwa occupied a key security ministerial position from 1980 to 1988 and was in the defense ministry from 2009 to 2013 before being elevated to the vice presidential post. I agree that military coups are never ideal, but Mugabe was a complete disaster, so the new regime couldn’t be worse. The coup is merely a response to fighting within the ZANU-PF. For months, tension has been building inside the party with the emerging possibility that Mr. Mugabe’s wife, Grace, could succeed him instead of Mr. Mnangagwa. The special relationship between Mr. Mnangagwa and the army best explains its intervention. It is naïve to believe that any leader who takes power under such conditions will strive for democratic reform. If the army successfully assumes control, in the coming weeks and months, we mustn’t be fooled into believing there will be any departure from Mr. Mugabe’s politics. With a fractured civil society and splintering opposition parties, the prospects of such a complete military takeover are high. A divided and vulnerable civil society is an easy target for manipulation. In the absence of constitutional legitimacy — a vacuum created by Mr. Mugabe — the military will seek favor in the court of public opinion, with a restive citizenry desperate for any leader offering a remotely better life. Zimbabweans have been yearning for a messianic moment, and this is an opportunity for a shift from Mugabe politics. 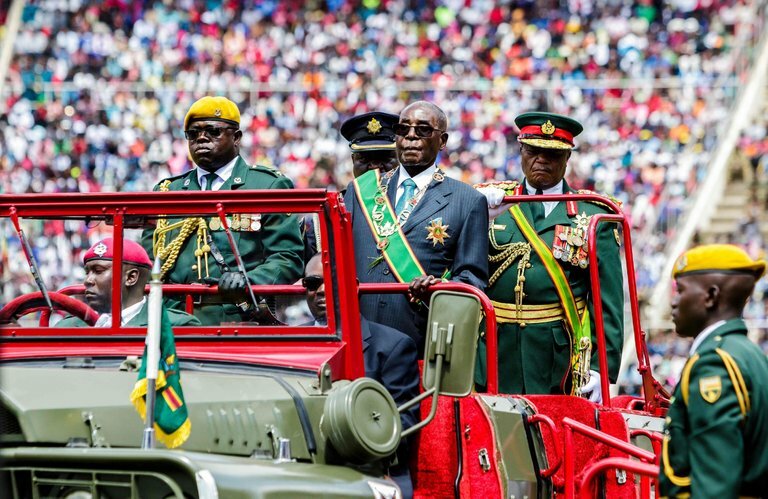 Wednesday’s coup appears to be the start of the military’s center-stage role in Zimbabwe’s politics, and there is no guarantee what will happen if its interests are threatened. The past 48 hours have revealed that Mr. Mugabe — the man we all thought would rule until his death — can be toppled; the next 48 hours will show how the army manages Mr. Mugabe’s potential resignation or removal. Amid reports of him refusing to resign, and the army dismissing a delegation sent by President Jacob Zuma of South Africa to intervene, the battle lines are drawn. Mr. Mnangagwa, who has since returned to the country, will likely explore legitimate options to step in as president, with his loyal soldiers beside him. To many, this is the best option — a well-known figure at the helm who fought in the wars of independence — but only time will tell if this will work. In the best-case scenario, Mr. Mnangagwa will shepherd the country safely to next year’s elections. Handing power to the military will leave Zimbabweans at the mercy of a very unpredictable group that has rarely worked on behalf of the people. And military leadership will most certainly leave the people with an unpredictable future. While the military might want to use this opportunity to reorganize the ZANU-PF and then call for an election, the party’s problems are not the people’s problems. The best option for Zimbabwe right now is a transitional arrangement with multiparty representation to stabilize the country, with the Southern African Development Community pledging support to guarantee an election. This could involve a coalition between Ms. Mujuru, Mr. Mngangagwa, the opposition leader Morgan Tsvangirai and former Home Affairs Minister Dumiso Dabengwa. As Zimbabweans around the world celebrate a moment of relief, we must remember that the future looks bleak. Coups are a regressive path to achieving democratic ends. Once the army has settled in, its interests — not ours — will be the priority. Any prospects for reforming the country lie in returning power to citizens — and for the army to respect civilian authority. An increasing number of worker co-operatives are challenging capitalism and gender oppression by creating new ways of navigating the economy. (Photo: Blend Images – Hill Street Studios / Getty Images). When everything that we label “economic” is assumed to be capitalist — transactional and market-driven — then it is no wonder that we run short on imagination. For many, these economies, which foster solidarity and are rooted in values of democracy and justice rather than maximizing profit, are invisible or not recognized as “economic”; they are merely how we go about our lives. Capitalist thinking blinds us to these economic activities, some of which make survival possible and life meaningful. These non-capitalist ways also add up to a significant portion of all economic activity. Economist Nancy Folbre from University of Massachusetts Amherst estimates that unpaid domestic work (historically considered “women’s work”) was equal to 26 percent of the US gross domestic product in 2010. Broadening the definition of economy also puts people back into the system and empowers us. Economy is not just something that happens to us, a sea in which we swim or sink. Rather we are all part of multiple economies, some in which we are the main actors — such as our household economies — and others in which we are the extras — such as venture capital markets. Across the US, from Jackson, Mississippi, to Oakland, California; in rural Kentucky and on Navajo-Hopi lands; and throughout Massachusetts’ biggest cities, it is often poor communities and communities of color that are building solidarity economies around these questions. This is not new. In fact, this is where solidarity economics — collective strategies for survival — have been innovated out of necessity. Think mutual aid, community organizing, self-help, and cooperatives of all kinds. These practices have been embedded in Black liberation movements, the early labor movement, and many other progressive movements in the US. The desire for deep, transformational change — for the multitude of solidarity economies to add up to something — comes not just from those who are dissatisfied, but even more so from communities that are simply struggling to survive. Dreams of a decent life and a fair shake come from those making Black Lives Matter, from immigrant workers making poverty wages, from ex-prisoners locked out of the mainstream economy, from tenants barely able to make rent, and from communities being displaced to make way for the 1 percent. Everyone can put solidarity values into practice — to live in solidarity — starting in whatever ways we can. And that is the transformative power of solidarity economics, that it doesn’t have to scale up only by building larger and larger organizations and systems. It can scale up by many people in many places pursuing economics of social justice. It will require taking back government to dismantle the systems that privilege capitalism and to redirect public resources toward solidarity economies. We can all begin by spreading the word, sharing our radical imagination of the world that we want to live in. A New York Times ” The Zionist dirty media” investigation has found that the number of civilian casualties of coalition airstrikes in Iraq has been more than 31 times larger than the number acknowledged by the coalition. Britain alone has dropped more than 3,400 bombs in Syria and Iraq, yet Theresa May’s government shamelessly claims that no civilians have been killed. In times of such extreme deceit, Stop the War’s campaign against the government’s war policies is urgent and vitally important. We need to intensify our campaigning and we are asking for your generous help. Your donations will enable us to expose their lies and promote the anti-war arguments more widely, support new Stop the War groups springing up around the country, sustain an increased level of staffing and upgrade our communications. This is a sequel to Stop the War, Libya and the CPGB-ML, which considered the response of the UK’s Stop the War Coalition to NATO’s plans for regime change in Libya. The war on Syria began in much the same way as that for Libya: romantic talk of the Arab Spring, and claims of peaceful protests ruthlessly put down by a dictator with hitherto unsuspected genocidal tendencies. However the non-NATO aligned members of the Security Council, on the one hand, and a high proportion of the general public on the other, had learned from the disastrous consequences of Russia and China’s acquiescence to a no fly zone in Libya, and thus moves to introduce one for Syria, either with or without the agreement of the Security Council, have so far failed. 1: Forced regime change in Syria had been planned for years by US and allies (see Wesley Clarkon US intentions in 2001, the Clinton emails from 2006 and the revelation by French Minister Dumas relating to NATO plans for Syria in 2009). 2: Syrians had little taste for a revolution in Syria: no-one in Damascus turned out for a pan-Arab Day of Rage on 4 February 2011, while in those early days there were huge demonstrations in favour of the government and Bashar al Assad in Damascus and Aleppo. 3: The early protests, notably in the provincial town of Dara’a, were violent from the outset, with a stiffening of foreign terrorists imported from Libya. There is extensive eyewitness testimony to that violence, including that of Jesuit priest Father Frans der Lugt (murdered in April 2014), of soldierscalled to the famous protest in Dara’a on 15 March 2011, and of civil defence workers. 4: The heavy involvement of outside governments in the war, with NATO powers such as the US, the UK and France, and Arab states like Saudi Arabia and Qatar spending enormous sums on training, arming and funding militants and financing foreign mercenaries; the role of Turkey in the movement of prospective jihadis and trade with militant groups like ISIS cannot be overstated. 5: The barbaric nature of the extremists, native and foreign, who owned the insurrection. 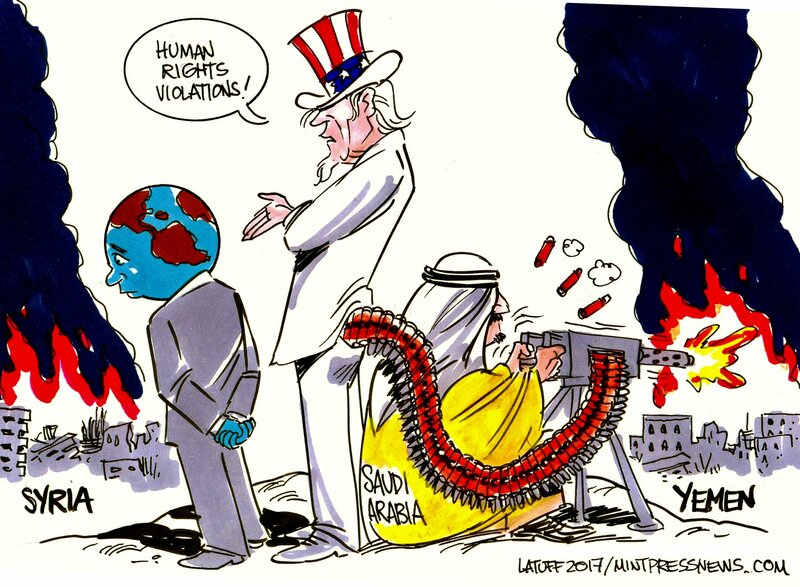 Many who found the idea of overthrowing the extremely oppressive regimes of Saudi Arabia and Qatar, or at best undemocratic and unpopular government of Egypt were disillusioned when they realised that regime change was only meant to happen in countries not aligned with the West. The Stop the War leadership, however, whose remit somehow expanded from opposing war to active concern with the internal affairs of other countries, has continued to support in principle the concept of the Arab Spring. Over the years Lindsay German has written a number of articles reiterating the organisation’s position, almost always with a note of apology for not supporting the war on Syria, e.g. There is no hypocrisy in our stance on Syria November 2012. Stop the War’s official position on Syria, in simple terms, is that it is opposed to external intervention. The leadership have constantly opposed all proposals by the UK government for a no-fly zone or a bombing campaign in Syria, and occasionally objected to external intervention in more general terms. Protests were held in December 2015 before and after the British government voted to ‘bomb ISIS’ in Syria. After Russia joined the war, condemnation of Russia was emphasised, e.g. StWC Statement on Syria ‘We oppose all of these interventions, including the current Russian bombing of Aleppo’, and With or without UN agreement, bombing Syria by Russia or UK should be opposed. Stop the War’s record in terms of protest and publications shows that its primary focus is to oppose blatant warmongering such as invasion and bombing campaigns. However STW has on occasion acknowledged, condemned, and even protested against less overt interventions. The supply of the handsets, designed to withstand rugged environments, is part of the Foreign Office’s mission to mould militias into a coalition capable of governing the country. The demonstration outside the US embassy on 15 June 2013 was directed against the ‘new’ Obama initiative to arm the rebels in Syria. While Stop the War publicly opposes intervention in Syria, the organisation claims that it does not support ‘Assad’, and is extremely defensive in the face of accusations, real or imagined, that STW might be made up of ‘Assad apologists’. Lindsay German’s Does Opposing Western Intervention in Syria Make the Anti-war Movement “Assad Apologists”? ensures distance from the Syrian government by referring to it as the ‘regime’, ‘Assad’s regime’, and ‘Bashar al Assad’s regime’ – terms favoured by the Syrian government’s opponents. Stop the War supports a political solution in Syria. The Syrian government have a policy of offering amnesty to insurgents who want to come in from the cold, and Russia has been administering a Centre for Reconciliation to facilitate this. This is not what Stop the War has in mind; rather it looks to negotiations in Geneva which attribute the status of legitimate opposition to groups allied with ISIS and al Nusra, such as Jaish al Islam and Ahrar al Sham. Many STW officers openly support the ‘revolution’ in Syria, and gloss over the responsibility of the UK and other external governments for the insurgency. In December 2015 Stop the War published a statement drafted by John Rees, setting out the organisation’s official position on Syria. Once again, the statement starts out on the defensive. The Stop the War Coalition is under unprecedented attack because of its opposition to the bombing of Syria and because attacks on it are perceived to weaken Jeremy Corbyn. Here in straight forward terms are our views on some issues now being routinely misrepresented by the Tory government, the right of the Labour Party and sections of the media. 1. The STWC has never supported the Assad regime. 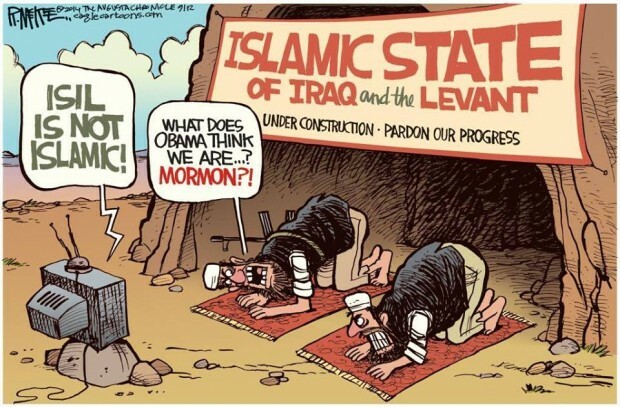 Just as we never supported the Taliban, Saddam Hussein or Colonel Gaddafi. Only in the minds of ‘them or us’ pretend patriots does the opposition to our own government’s wars mean support for dictators or terrorists. Our case has always been that war will worsen the problem and not solve it. We were right in that analysis in Afghanistan, Iraq and Libya. 2. The STWC has never supported Russian intervention in Syria and issued a statement opposing the bombing as soon as it began. 3. The STWC does believe that it is the people of Syria who are the only ones who should decide the fate of their country free of all great power and regional power interference. 4. The STWC is utterly opposed to the IS as a totally reactionary and, in the Arab Spring, counter revolutionary force. 5. The STWC believes that the invasion and dismemberment of Iraq, and western support for Saudi Arabia, were and are instrumental in the creation of the IS. 6. The STWC does not support calls for western invention, including an air war to establish a no fly zone, whether those calls emanate from Syrian exiles or anyone else, just as we did not support such calls from anti-Taliban or anti Saddam Afghans or Iraqis. Syrians do not all speak with one voice but many are opposed to western bombing. 1: The first point, reiterated in the sixth, is to voice opposition to Bashar al Assad, comparing him, furthermore, to Saddam Hussein and the Taliban. 2: The second is to criticise Russia for its involvement in the war. 3: Rees twice mentions ISIS, the fall guy when it comes to jihadi barbarism, but does not mention al Nusra, Jaish al Islam, or any other of the vicious gangs operating in Syria. 4: In December 2015, by which time the character of the ‘moderate opposition’ was well known, he is still talking about the ‘Arab Spring’ and ‘revolution’. 5: The necessary condition for the Syrian war, i.e. the role of the UK and its allies, is only mentioned in the last two points, and then in relatively mild terms. Lindsay German produced another position statement in October 2016, Stop all intervention in Syria and let the people decide their future, which was consistent with everything said over the previous years: the Coalition did not support ‘Assad’ (i.e. the legitimate government of Syria) or Russia, and was opposed to a no-fly zone and the sale of arms – other interventions by the Western powers are ignored here. German claims: ‘We do not take a position on the internal politics of Syria, and believe that this is a question for the Syrian people alone‘. Much of the article was self-promotion and self-congratulation. ‘Don’t bomb Syria‘ is a totally inadequate response to the war on Syria. British MPs’ arguments and information were influenced by a strong public opinion against such a war, itself a product of a mass movement which didn’t stop a war ten years ago but has prevented a further one now. […] Britain will play no part in any Syrian intervention. German’s article totally disregards the role of Britain in the Syrian war. The NATO countries and their allies have consciously endeavoured to carry out their plan to achieve regime change in Syria, contrary to the will of the Syrian people, by pouring billions into funding and arming terrorists. Turkey has funneled thousands, or more probably hundreds of thousands, of jihadists through to Syria and in return bought from ISIS stolen Syrian oil, antiquities and Aleppo’s factories. The United Kingdom, moreover, has a large budget for propaganda projects specifically designed to create support for a no fly zone, such as the fake humanitarian outfit the White Helmets, staffed by members of vicious gangs like al Zinki, seven year old Bana who tweeted in perfect English from Aleppo, calling for WWIII in order to ‘save Aeppo’, and fake research organisations like the Syrian Observatory for Human Rights, essentially one man in a house in Coventry, but cooperating with the British Foreign Office. Stop the War’s protests against active intervention are clearly inadequate when it is turning a blind eye to the material and moral support given to the terrorist groups in Syria, and to the propaganda designed to achieve compliance with a no-fly zone. Dreadful reports from Aleppo. @STWuk want to see an end to bombing and brutality on all sides in Syria. Stop the War’s position is that with or without UN agreement, bombing Syria by Russia or UK should be opposed. ‘Stop the War is against Russia’s attacks on Syria. We think they should stop immediately‘. If there were no external intervention, no funding and arming of terrorists, including hundreds of thousands of foreign mercenaries, there would be no Syrian war. Russia, Iran, Iraq and Hezbollah are all militarily involved in the Syrian war, on the invitation of the Syrian government, as a response to external intervention. They are defending Syria against barbaric extremists who are loathed by the Syrian people. The involvement of Russia, Hezbollah and other Syrian allies is consistent with international law and has been absolutely vital for the country’s survival. To put the Russian contribution to defending Syria on a par with the illegal intervention and support for terrorism by NATO and its allies is the height of dishonesty. Russian air-cover enabled the Syrian Arab Army and its allies to retake Palmyra in March 2016, though not before the museum curator was murdered as an ‘Assad stooge’ and extensive damage was done to the historic site. Russian assistance helped liberate Aleppo from ISIS and al Qaeda affiliated gangs, who were terrorising eastern Aleppo and shelling western Aleppo, causing horrific casualties. Since then Russia has provided extensive humanitarian aid to Aleppo and elsewhere in Syria, ranging from food aid and mobile hospitals to demining eastern Aleppo. Stop the War, however, wants to see an end to Russian involvement in Syria. Stop the War’s leadership specialises in producing flabby articles devoid of content: there is no new information, no analysis, just NATO’s discredited mantras of popular revolution, moderate rebels and wicked despot Bashar al Assad. Much of the space is taken up in apologising for not supporting invasion or a no-fly zone, or claiming that STW is not pro-Assad. Given that Stop the War never addresses an alternative and more valid concern, i.e. whether the Syrian government is right to resist an externally sponsored insurgency, its protestations of not being pro-Assad have to be seen as a dishonest ploy. You’ll find that you don’t have the National Socialists in Syria but you’ll find the Baath Party which Alawites like Assad belong too. Stop the War’s position is essentially the bogus ‘third way’: while it opposes direct bombing, and occasionally complains about the better publicised aspects of direct intervention, it assumes the validity of the regime change narrative. Despite the wealth of contrary evidence, at no point does STWC question the NATO narrative of a legitimate uprising and an illegitimate government. There has been an enormous amount of research carried out on the subject of the Syrian war, by people alert to the inconsistencies in the NATO narrative, who have wanted to find out the truth. Some of these people have traveled to Syria more than once, and recently. 21st Century Wire alone has published over 100 articles on the Syrian war. The articles contain a wealth of references, photographic and video evidence, and testimony from Syrians. STW has not published, promoted or referenced, either in its homepage or via social media, a single article that gives an assessment of the facts that differs from that of the corporate media. Stop the War has continued to suppress alternative views on Syria as it did with Libya. Most notable was the shocking incident when STW, under the leadership of Jeremy Corbyn, allowed the likes of Owen Jones and Jeremy Scahill to bully Mother Agnes Mariam out of speaking at the 2013 Anti-War Conference in London. Mother Agnes Mariam el-Salib, mother superior of St. James Monastery in Qara, Syria, is a nun who has worked in Syria for over 20 years. She has spoken out about the Syrian ‘revolution’, warning of the danger that religious minorities in Syria face from Western-backed extremists. She also queried the charge that the Syrian government was responsible for the sarin attack on Ghouta, having carried out her own research into the matter. Mother Agnes was interviewed by RTin September 2013. Mother Agnes was invited by Stop the War to speak at the International Anti-War Conference held on 30 November 2013. A campaign was orchestrated by hardline proponent of the war on Syria Mohammed Idrees Ahmad and others to ‘deplatform’ Mother Agnes, with pressure applied on other invited speakers primarily via social media. @jeremyscahill Please don’t share platform with leading Assad propagandist Mother Agnes at the @STWuk gathering. Owen Jones and Jeremy Scahill eventually declared that they would not share a platform with Mother Agnes, and at that point Mother Agnes voluntarily withdrew. ‘Mother Agnes is perhaps most infamous for publishing a 50-page report claiming that the video footage of the Ghoutta massacre was faked, that the children suffocating to death had been kidnapped by rebels and were actually sleeping or “under anaesthesia”’. Owen Jones does not give a link to Mother Agnes’s report, and for good reason, as it gives the lie to his accusation. ‘The chemical attacks which took place in East Ghouta on August 21, 2013 could be the most horrific false flag operation in history. The UN report on the Ghouta attack does not ascribe blame, and well before the conference doubts had been expressed on the likelihood of the culprits being the Syrian government, on both technical and political grounds. On 13 September Sharmine Narwani and Radwan Mortada analysed the weaknesses of the UN report Questions Plague UN Syria Report on Syria, while WhoGhouta published a Summary of Conclusions on 24 September, which pointed the finger at insurgents. Any fair person would have applauded, rather than condemned, Mother Agnes for querying the claims of the corporate press that ‘Assad’ was responsible for the attack. Owen Jones also relies on the Open Letter to Stop the War Coalition penned by Idrees Ahmad. The striking feature of this letter is that most or all of the signees, for example, including Peter Tatchell, Mary Rizzo, Louis Proyect and Ahmad himself, support active intervention in Syria against the government including a no-fly zone. Jones chooses to identify with active proponents of the war on Syria rather than those who oppose it. @OwenJones84 the NCC is the “only group to have called for open dialogue with the Syrian government”, unlike you who won’t talk to a nun. Jones has shared platforms with Labour politicians who were key architects of the invasions and genocides in Iraq and Afghanistan – some of the worst crimes of the modern era. A brief statement was published that managed to be both bald and dishonest. This is patently false: once Mother Agnes was removed from the equation, there was no-one present to put forward the perspective of the legitimate Syrian government, and the conference was dominated by people who essentially support the war on Syria. The implications of the deplatforming of Mother have been addressed by a number of commentators, including Neil Clark and the indefatigable Communist Party of Great Britain (Marxist-Leninist). Is the Stop the War leadership genuinely opposed to a no-fly zone in Syria? Although the official policy of STW is to oppose external intervention in Syria, the behaviour of its officers contradicts this. Counterfire, which was founded by Stop the War officers and is closely linked to STW, has promoted Syria Burning by Robin Yassin Kassab and Leila al Shami, both of whom seek a no-fly zone in Syria. 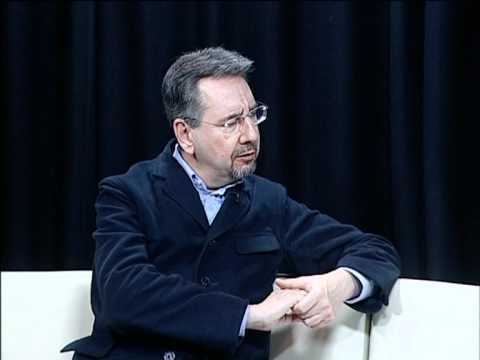 In January 2012, John Rees interviewed two guests on his show In Islam: Iman Mujahed, an Irish woman married to a Syrian and the British Moussab Azzawi. Thus neither of the guests were Syrian, both supported the ‘revolution’, and both wanted external intervention. Moussab Azzawi asked for a humanitarian corridor, buffer zone, and a no-fly zone, Mujahed’s priority was a buffer zone, but she has no objections to a no-fly zone. The purpose of the interview, in fact, was to promote a no-fly zone in Syria on the Libyan model. The British Foreign Office has invested heavily in propaganda projects relating to Syria that are specifically designed to gain acceptance for a no-fly zone from the public, in particular the White Helmets. Stop the War makes no attempt to expose these scams: their position on the White Helmets, for example, is simply that they have no position. @STW doesn’t take a position on the White Helmets. That the Foreign Office is funding a supposed humanitarian organisation which blatantly supports Foreign Office policy should be a red flag. However, even if one naively assumes that the organisation’s primary purpose is humanitarian, any anti-war movement should condemn the White Helmets’ calls for a no-fly zone. Stop the War has not done this. In September 2015 Stop the War was involved in the organisation of a march in support of refugees; Jeremy Corbyn was in attendance as the newly elected leader of the Labour Party. Primary responsibility for the march was claimed by Syrian Solidarity UK (SSUK). SSUK supports the ‘revolution’ in Syria and seeks a no-fly zone in Syria. FSA (Free Syrian Army) flags, anti-Assad slogans and demands for a no-fly zone featured prominently. Jeremy Corbyn appeared on the same platform as SSUK’s Clara Connolly, who used an event in support of refugees to plug the White Helmets and to demand a no-fly zone (which would inevitably mean more refugees), and he stood right alongside Abdulaziz Almashy, co-founder of SSUK, who was wearing an FSA scarf. So while Owen Jones refused to appear on a platform with Mother Agnes Mariam, who never spoke anything but the truth about Syria, Jeremy Corbyn shared a platform with open supporters of a no-fly zone in Syria and of the FSA, which was already known to be associated with al Nusra, ISIS, the use of chemical weapons, cannibalism and all manner of other atrocities (see also Eva Bartlett’s The Non-Useful Atrocities, or even the Daily Mail). Jeremy Corbyn may not have fully understood the implications of his presence on this platform, however SSUK and Stop the War officers like John Rees certainly would have. Genuine opponents of the war, who should have objected strongly, are the very people who hope Corbyn will rescue the country from the Tories, the Blairites and austerity – thus they remain silent, not just about this incident, but about Stop the War’s shortcomings in general and the implications of Corbyn’s ties to the organisation. Neither confirming nor questioning the validity of scams such as the White Helmets. Stop the War shares all these characteristics with other organisations and individuals who function as gatekeepers in the context of the Syrian war. Its leadership has ensured that the movement has been reduced to the role of controlled opposition, deflecting the rank and file by focusing on overt intervention and ignoring the realities of Western imperialism in Syria. Journey To Aleppo Part I: Exposing The Truth Buried Under NATO Propaganda. The report comes amid a statement by Defense Secretary Jim Mattis that the US is preparing for a long-term military commitment in Syria to fight ISIS. During the last year of the Obama administration, State Department spokesman John Kirby was called out multiple times by reporters for tell obvious and blatant lies concerning “boots on the ground” in Syria. Last summer, in a move that angered the US administration, Turkish state media leaked the locations of no less than ten small-scale American military bases in northern Syria alone (revelations of US bases in southern Syria began surfacing as well). As another recent Pentagon press conference further acknowledged, these bases – though likely special forces forward operating bases – require a broad network of US personnel operating in various logistical roles inside Syria and likely now includes thousands of US troops deployed on the ground, instead of the Pentagon’s official (and highly dubious) “approximately 500 troops in Syria” number. What makes even the timing of Mattis’ declaration of an open-ended military commitment in to supposedly fight ISIS is that it came the same day that the BBC confirmed that the US and its Kurdish SDF proxy (Syrian Democratic Forces) cut a deal with ISIS which allowed for the evacuation of possibly thousands of ISIS members and their families from Raqqa. In one speech, Turkey’s President Erdogan clarified his position vis-a-vis both NATO and Syria. Turkey’s increasingly fraught relationship with NATO has just entered a new crisis as Ankara threatens to remove a substantial US radar system from its soil, should Washington fail to complete the transfer of F-35 fighter jets ordered by Turkey. The row has its origins in Turkey’s recent purchase of Russia’s powerful S-400 missile defence systems. The Pentagon has announced that Turkey’s purchase of the S-400s “would jeopardise the sale of F-35 fighter jets to Turkey”. In response, Turkey has stated that if the F-35s are not delivered, Turkey may take steps to remove the Malatya- Kürecik AN-TPY-2 radar system that the US set-up on Turkish soil in 2012. Turkish media outlet Yeni Safak has reported that if Turkey were to force the removal of US radar facilities from its soil, the US would lose its key means of gathering intelligence on movements which occur inside Iranian borders. This is significant as Turkey and Iran continue to make further mutual commitments to bilateral security at a time when the US has upped its anti-Iranian rhetoric inline with near identical Israeli propaganda. By contrast, Washington’s other radar systems in the Middle East are not able to penetrate beyond Iran’s western borders. Turkey’s President Recep Tayyip Erdogan has responded by challenging the “trustworthiness” of NATO. This comes days after Erdogan’s name as well as that of Ataturk, the founder of the Turkish Republic were found on a poster of NATO “enemies” during a recent pan-NATO military drill in Norway, which Turkey subsequently withdrew from. “Yesterday, you saw impudence at a NATO exercise in Norway. Some mistakes are not committed by fools, but by vile people. This impudence that targets me and the founder of our republic … reflects the distorted point of view that we have been observing in NATO for a while. “We will also save Afrin and we will deliver Manbij (Kurdish enclaves on Syrian soil) to its original owners. We will clear terrorist organisations out of all areas”. There are two distinct interpretations of this statement, should it be taken at face value. First of all, the interpretation that is consistent with international law is that Erdogan seeks to return Kurdish occupied territories of the Syrian Arab Republic back to the Syrian government which is literally rightful owner of its own territory. Others will be quick to jump onto the fact that Erdogan may be referencing the Ottoman Imperial map of the region, in which Afrin and Manbij, like almost all of the Arab world were territories belonging to Ottoman Turkey. Some will assert that this is what Erdogan means when he talks about “original owners”. The reality most likely leans towards the first interpretation of the remarks. Practical realities on the ground and in geo-political relations attest to the likelihood of this interpretation. Turkey is now in a position, largely thanks to tacit Syrian approval and an implied Russian lack of disapproval, to go after unilaterally declared Kurdish regimes operating on Syrian soil. As the war against Takfiri terrorism draws gradually to a close, Syria has become intent on preventing any would-be Kurdish insurgencies, especially since this could be the cover the US seeks to expand its illegal occupation of Syria. Because of Turkey’s increased reliance on its economic partnership with Russia, it is becoming equally clear that Turkey is not in a position to defy Russia in Syria, even if it sought to do so. At present Turkey’s once illegal occupation of Syria has gained a quasi-legal status through Turkey’s participation in the Astana peace talks which are co-chaired by Syria’s allies Russia and Iran and whose decisions are each approved by Damascus. However, when the conflict in Syria is officially over, Turkey will lose any mandate for a continued presence in Syria. Today’s remarks by Erdogan shed clarity on his future goals for northern Syria. He seeks to deprive Kurdish insurgent groups of their ability to create a de-facto statelet on Syrian territory. Thus, Erdogan’s words signal a clear mission with a clear goal. This can be contrasted with remarks made in previous years by Erdogan, suggesting that the Turkish occupation of Syria would be an indefinite phenomenon. While many will remain sceptical of Erdogan’s remarks seeing as Turkey has established post-offices and other state offices in Syria’s Idlib, this is by no means a sign of permanence. When the Soviet Union was illegally broken-up by the leaders of the Russian Russian Soviet Federation Socialist Republic, Ukrainian Soviet Soviet Republic and Belorussian Soviet Social Republic, facilities throughout the Soviet Union were instantly taken away from Moscow in spite of years of legitimate economic activity by Moscow on its own legal territory. Likewise, after 1991, Russia’s former allies in central and eastern Europe unceremoniously kicked Russia out, in spite of previous agreements. Russia left and has no desire to come back. Whether this was a wise decision or not is open to debate, but the facts dictate that it is possible for allied troops to leave a country when no longer welcome, in spite of a lengthy alliance, the kind which Syria and Turkey certainly do not have. If Moscow could so easily accept the loss of control of its territories and influence over her allies after 1991, Turkey’s small state-ventures in Idlib suddenly appear minuscule by comparison. One way or another, Turkey will have to cut its losses and Erdogan’s remarks clarify that once Kurdish militants are pacified, Ankara will likely be willing to do so in one way or another, not least because without support from the US, Turkey will not want to anger its new partners in Russia or Iran whose relationship with Ankara remains generally positive for all sides. Social media is now an indelible part of the South Asian political landscape. The modern day concept of battle is far from what it was decades ago.Now, a web within a web of the technically advanced world, battles do not necessarily take place on the ground but in the networks of the virtual world that is fast blurring the lines between reality and fiction.Originally the idea of now what is termed as the “social media “, was to bridge the gap between people, which grew from keeping in touch with acquaintances to interacting with people in another corner of the world.The growth in the social media industry was remarkable as it transcended beyond its actual purpose. Now a multi-dollar industry, social media has redefined the meaning of war with its power to mobilize and influence millions in a blink of an eye, irrespective of the time and location. The free and uninterrupted flow of information with interconnectivity among people leads to forming of different narratives. Although diverse in subjects, the narratives unify at certain levels of interaction and become powerful enough to sway the workings of a body, hence the evolution of the term “war of narratives”. This unconventional battleground called social media has become a priority to understand, adapt, improvise and use by not only the governments of the today’s world but also the militaries. One of the leading names in the social media industry is Twitter, a networking service available to millions across the world including Pakistan and India and is used according to the desires of the individuals or groups residing in both countries. The latest spark between the two rivals took place in late hours when Pakistan Defense, a pro- Pakistani account was suspended on reports that it violated certain policies of Twitter leading to a battle of narratives. The threefold reaction involves the Indians, who cheered Twitter’s action against what they deem a prominent pro- Pakistan profile backed by the military of Pakistan. Second, the Pakistanis themselves who take the words of Hall (“I do not agree with what you have to say, but I’ll defend to death your right to say it “ ) in the truest of its meaning and the third fold falls in neither mentioned bunch. Like Pakistan, India too maintains numerous accounts on Twitter which actively propagate their animosity towards Pakistan. The issue of Kashmir, for instance, be it on the floor of United Nations or a social media site like Twitter, is a sensitive usually heated topic; more so if mentioned by Pakistan. To counter the Kashmir card, Indian accounts play the Baluchistan card. False information or what some refer to as “disinformation” in case of Baluchistan is propagated on Twitter and other networking sites more often attached with gruesomely doctored images. “Pro- Pakistan” groups such as Pakistan Defense and many others identify and counter the false images or information and hence remain a target for the rival country. For similar reasons, as in the case of suspension of Pakistan Defense, many Indian accounts have been reported to Twitter but appear to go unnoticed, making many question the rules and regulations on which Twitter operates. With a huge following comes the question of credibility. The more reliable the content, the more power it holds against the opposite narrative.In such a situation the best bet by the opposition is to spread the false narrative to such an extent that it replaces the truth. The smart use of social media is the ability to cross verify information in any form; importantly when it is being used to counter the enemy’s narrative. Narratives built on social media by groups or organization like Pakistan Defense, shape certain perceptions in the off-line world but have a strategic impact. A relatively newer term known as the “net-troll strategies “ describes the ripple effect created by initiating a discussion ( with a certain narrative) among the like-minded, which indirectly reaches the intended audience. While such accounts exist across the world, those in Pakistan lack behind in keeping a unified front and openly display their disagreements. The implication of social media in the context of the war of narratives has had many organizations reviewing their policies and rules of engagement to minimize the spread of false information. But how and when does an organization know that the policies it has set, have managed to strike a balance in the “war of narrative? So far, for the followers of Pakistan Defense, the account remains suspended but voices for it to be resumed are flashing on twitter feeds. P.S. Word of wisdom for those behind the account Pakistan Defense: be smart but not too smart that it costs you, your honor.